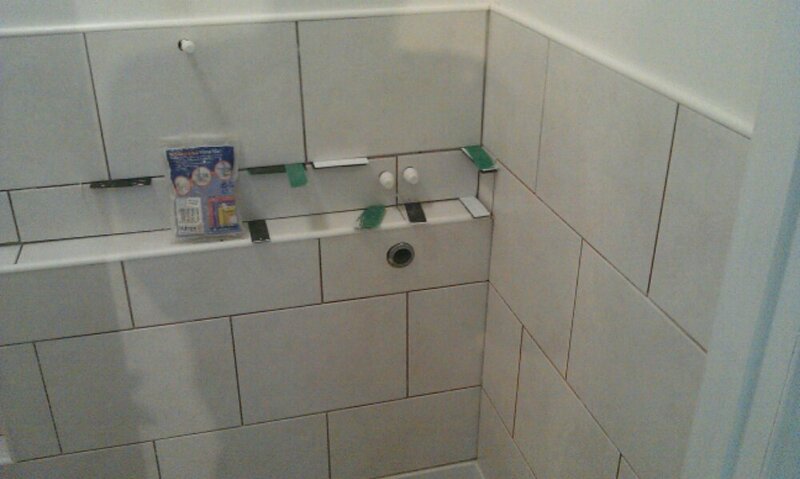 Waiting for tile adhesive to dry ready for grouting. Technical work cutting for toilet and wash basin feeds. Neat holes cut for waste and basin feed. 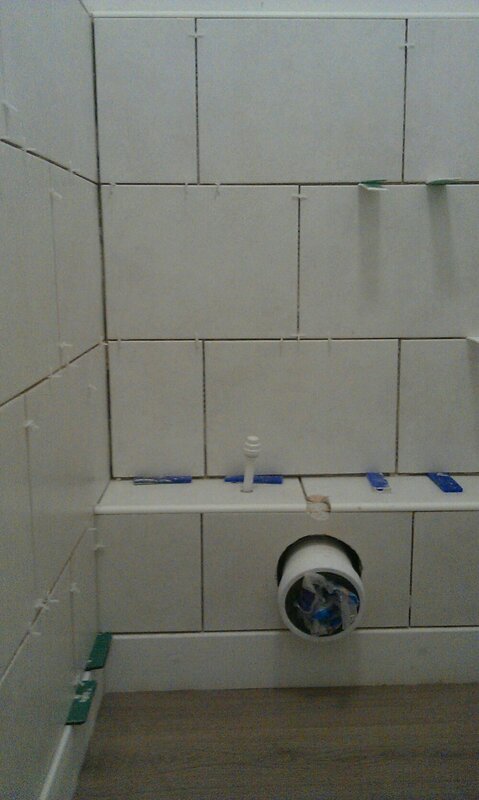 This entry was posted in Uncategorized and tagged tile by Ashtons Handyman Property Services. Bookmark the permalink.